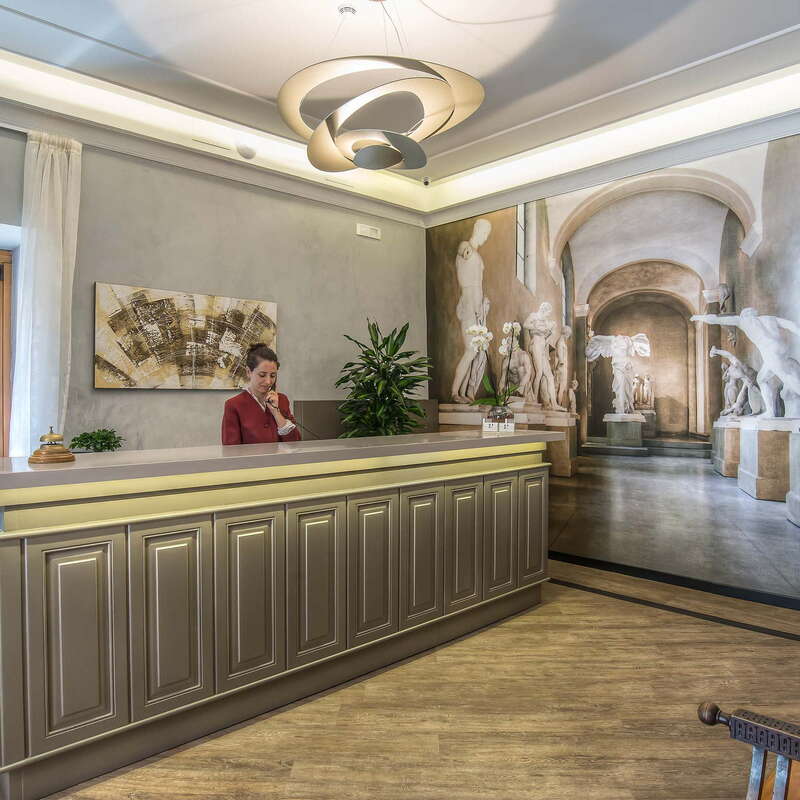 A stone's throw from the Vatican Museums, this family-run hotel offers good service and rates, with all sorts of perks. 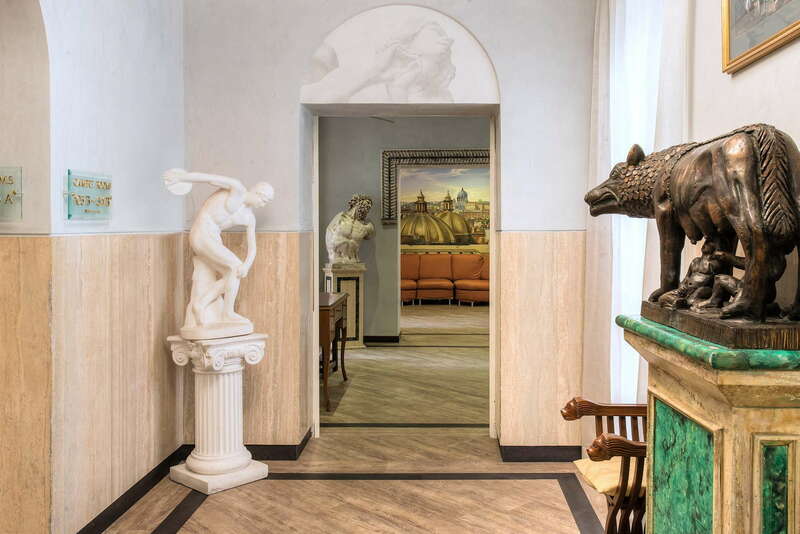 The decor throughout the hotel's lobby and common areas is a bit over-the-top, with Roman busts and statues, but there are spacious lounges, a tavern, and a rooftop terrace to make up for it. Two nearby Metro stops help you move about. There's even a recreation room with a billiards table and a piano. 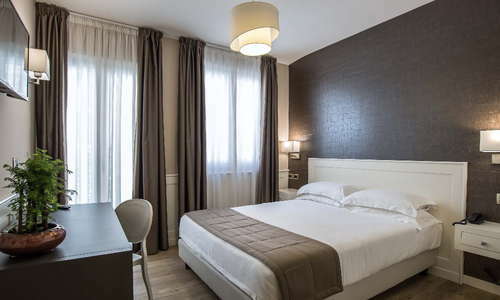 The hotel is very family-friendly as rooms are spacious and well furnished; many can accommodate extra beds. 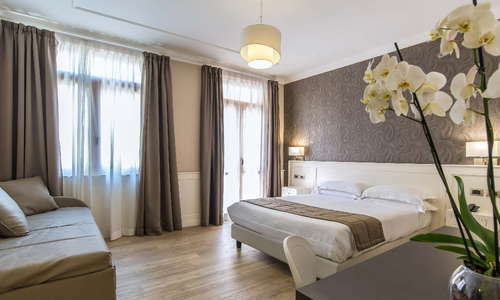 Rooms are outfitted with gold or taupe wallpaper and bedspreads. While furnishings are a bit outdated, beds and desks are comfortable, and there's plenty of room to store your belongings. 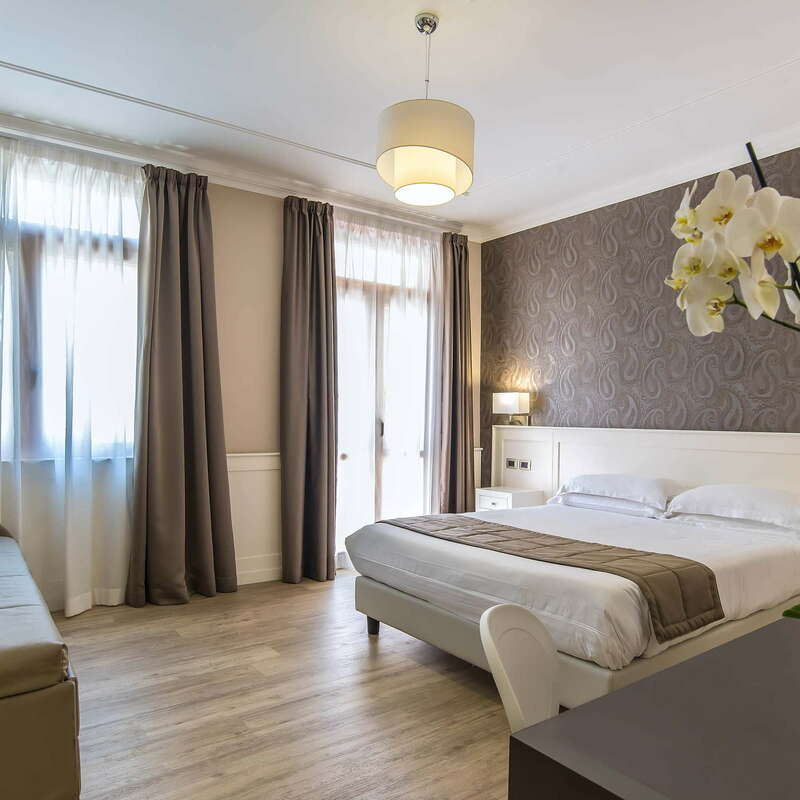 Each room has air conditioning, satellite TV, and free Wi-Fi. Deluxe rooms have been recently remodeled. 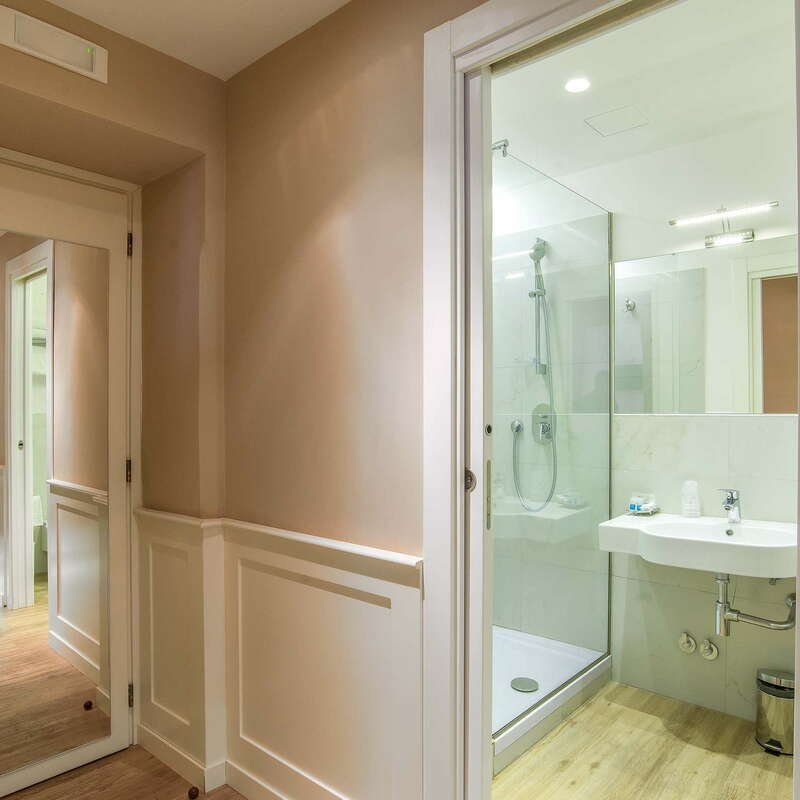 Bathrooms are well equipped with towels and toiletries and well cleaned throughout. Blue or white tiles don't really stand out, and overall the rooms could use a refresh. 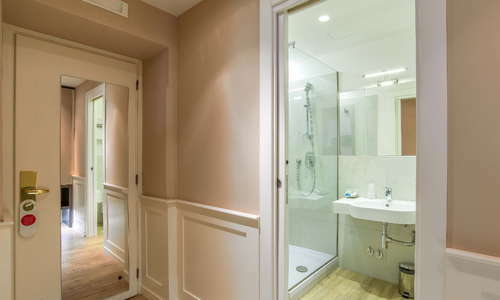 Bathrooms with tubs have a lot more space. The lobby and hallways are full of Roman tchotchkes, with miniature bronze and faux-marble statues throughout. Walls are painted with bold Italian frescoes in a style that might be more appropriate in Vegas. And a leisure room has a pool table as well as kid-friendly TV and games. Front desk service is helpful around the clock. Guests can enjoy a generous buffet breakfast on the panoramic terrace with beautiful views out onto the Vatican. There's a wealth of options including fresh pastries, omelets, and yogurts. The hotel bar is open throughout the day for coffee and tea. At sunset, you can take a cocktail out onto the panoramic terrace. If you want to spend a good deal of time at the Vatican, this is the place for you. 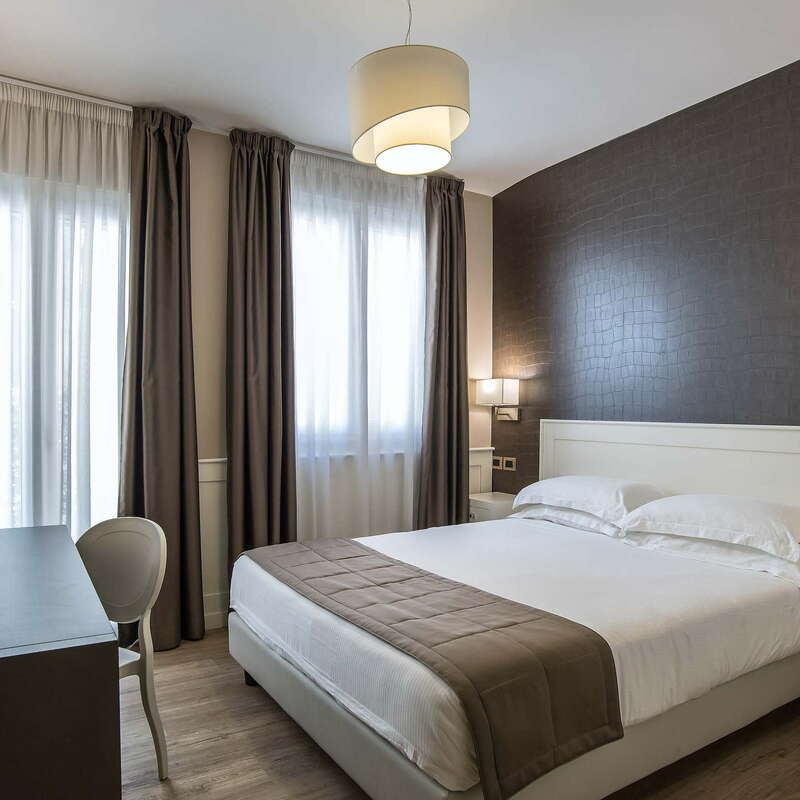 The hotel is also just a 6-minute walk from Ottaviano Metro Station. There are abundant trams and bus lines as well that go directly to historical sites. La Soffitta Renovatio (8-minute walk) has one of the best gluten-free pizzas in the city. They serve a full menu of glutinous food as well. 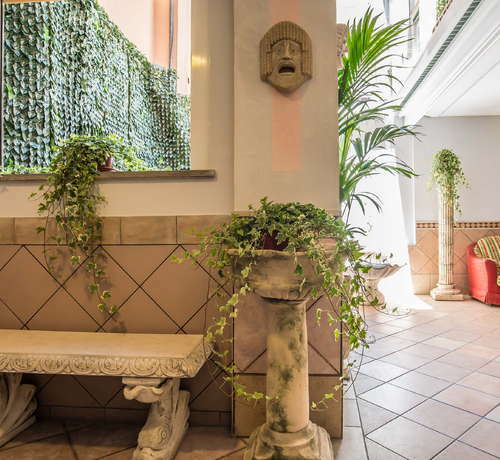 Il Sorpasso (12-minute walk) serves incredible pastas and wonderful homemade desserts. Don't leave without trying the Mont Blanc. The bartenders at Saxophone Club (5-minute walk) make amazing cocktails and mocktails in an intimate environment perfect for date night. Fonclea (10-minute drive) is a bustling English pub with live rock and jazz shows. 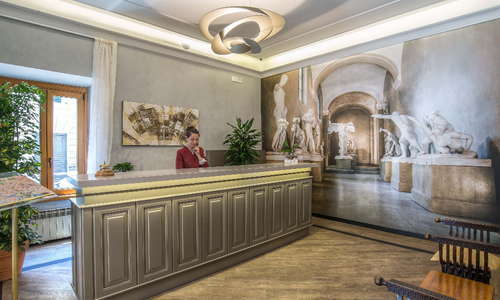 This hotel is a great option for families coming to Rome. 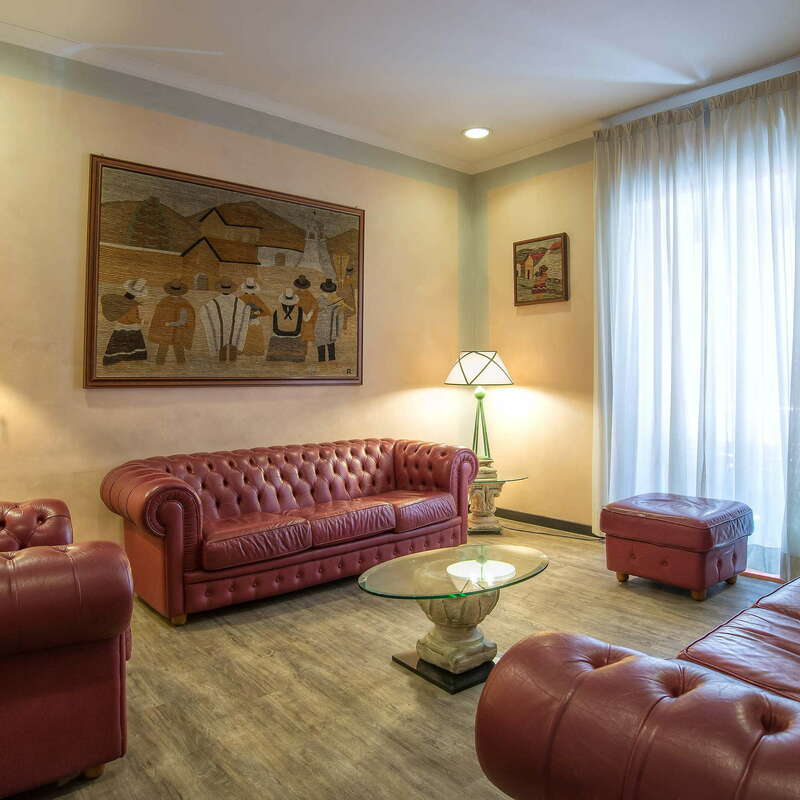 They can accommodate large groups, and there are various activities to entertain the little ones while you enjoy an aperitif on the rooftop terrace and enjoy the view of St. Peter's Basilica. 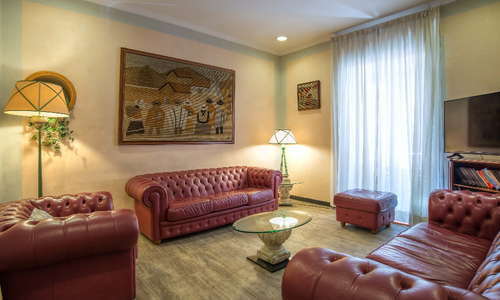 Perfectly located next to the Vatican Museums, the location can't be beat, and prices are very reasonable for what you get.